The Lagos State Ministry of Health and the Primary Healthcare Board, in collaboration with EpidAlert, has concluded plans to use technology to reorganise communities’ response to disaster prevention. Called AlertClinic, the technology will have its test run at Yaba in Lagos. 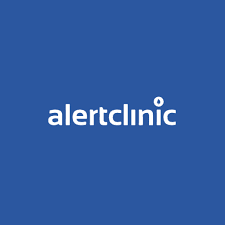 AlertClinic is a communication and notification system designed with algorithms around information flow and the persuasion of critical behaviours and choices. According to Dr. Lawal Bakare, its initiator, the pilot phase of AlertClinic is targeted to address malaria, Lassa fever, diarrhoeal and polio. The initiator also itemised the four diseases as major threats to disease control systems of the state’s Ministry of Health, the Primary Healthcare Board and Lagos residents. However, the Founder AlertClinic and EpidAlert Initiative noted that the state government agencies would use technology to tackle the challenges. Dr Bakare also explained that AlertClinic will provide two-way notification support to communities, households and the public health institution in Lagos. He further observed that the state’s Ministry of Health is championing health care emergencies nationwide, especially by involving disease notification officers in local government areas. He assured that AlertClinic would reduce the burden of Malaria, Lassa fever and Cholera (and other diarrheal diseases) in target communities. “Notification will rise for the ‘notifiable’ diseases and the public health response time will drop when threats are identified; leaving communities healthier and more resilient,” he said. According to Dr Bakare, “Lagos Mainland is the home of Nigeria’s technology hub in Yaba, higher institutions with thousands of students like the University of Lagos and Yaba College of Technology as well as a large youth population, communities such as Makoko, Ebute Metta. He also said that the immediate environment provided the needed atmosphere for implementation of AlertClinic in the state and from there its coverage area will be extended to other parts of the state and beyond.